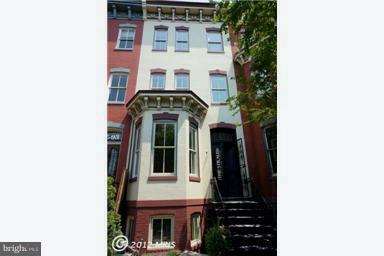 Elegant boutique building in heart of Logan Circle features 10 ceilings, oversized double-hung windows, deep crown moldings and trim, flexible open floorplan, two bay alcoves, excellent closet and storage space, hardwood floors, fp, common area patio, off street separately deeded parking for 2 cars, low condo fee steps from dining, retail, services and Studio Theatre. Access to Holiday Inn pool in summer. 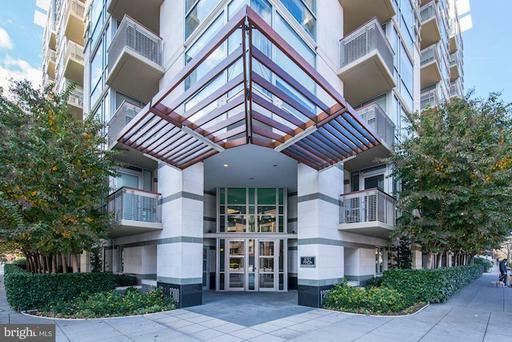 Reduced by $20K - Bright spacious 2 bedroom/2 bathroom condo with private balcony, extra storage and one garage parking at Solo Piazza. 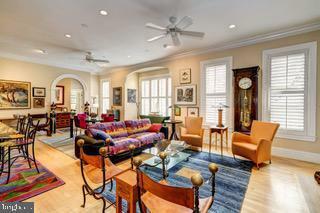 Sun-drenched open floor plan is great for entertaining ~ boasting a gas fireplace floor-to-ceiling windows. 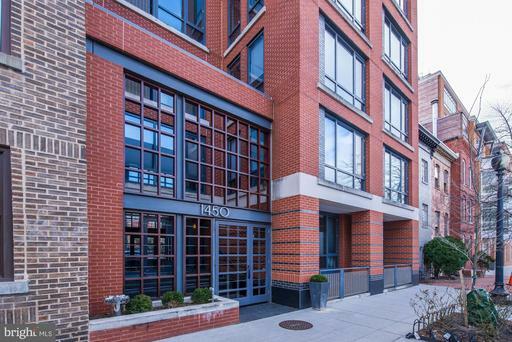 Key features include gourmet kitchen with Poggenphol cabinets, Stainless Steel appliances granite counters. Travertine tiled bathrooms entry. 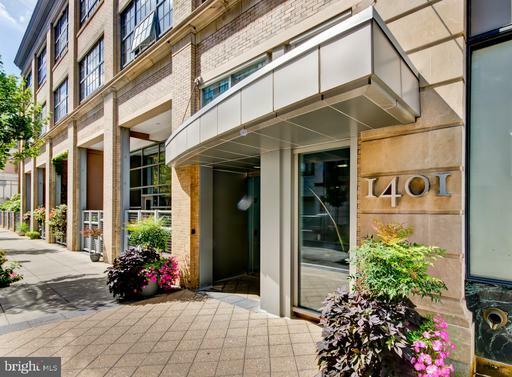 Building offers a large rooftop deck and Zen piazza. 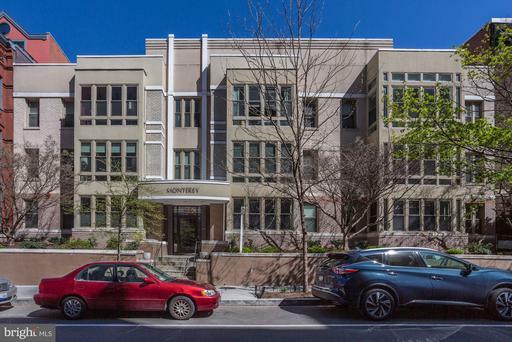 Convenient to Logan Shaw groceries Wholefoods, Giant, Trader Joes restaurants, gyms nightlife. 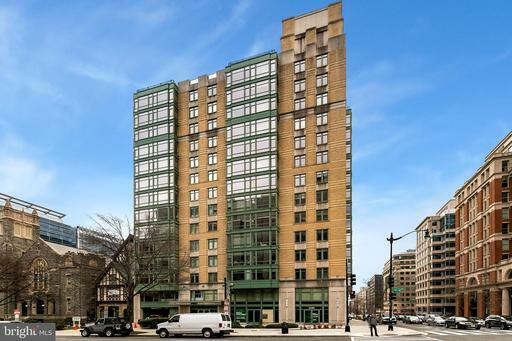 Short distance to McPherson Square Metro. 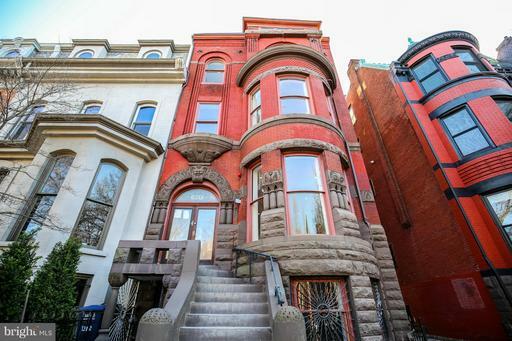 Logan Circle Living at its Finest. 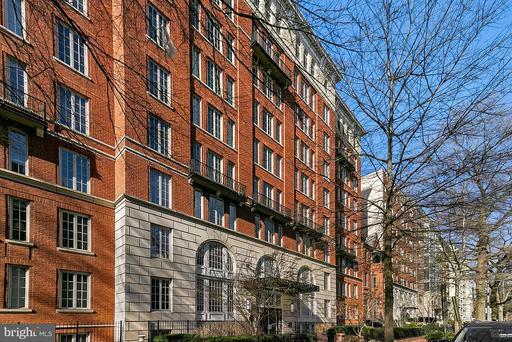 Come be a part of the NW renaissance in your very own 2 BR 2 BA condo at the Zenith. 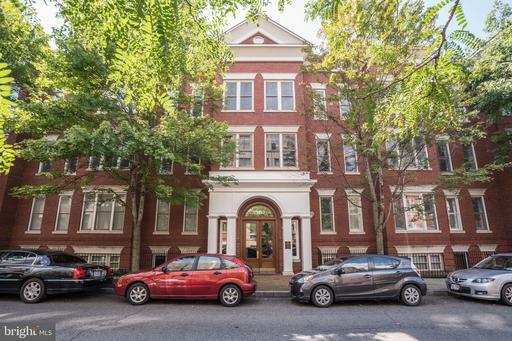 This well appointed unit features an updated gourmet kitchen with SS appliances, new bathrooms, and new HVAC. 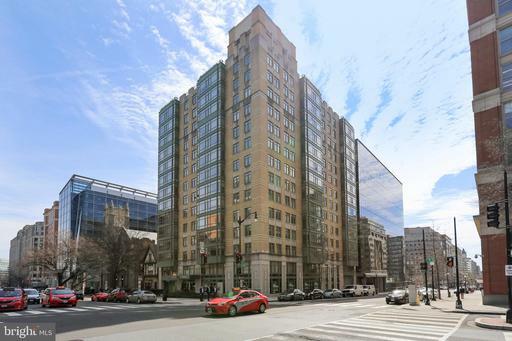 Other features include HDWD flooring and in-unit storageWalking Distance to 14th St Corridor, Whole Foods, Shake Shack. Ask about Closing Cost assistance if you use PenFed CU for your mortgage. 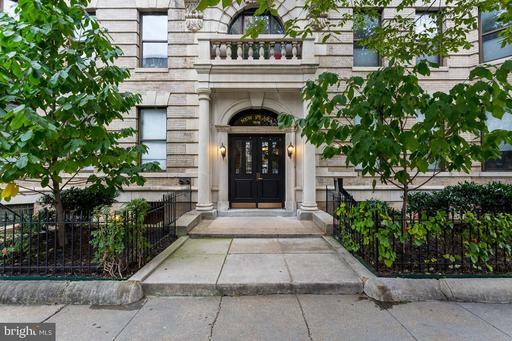 Gorgeous condo with parking in highly sought after Logan Circle! 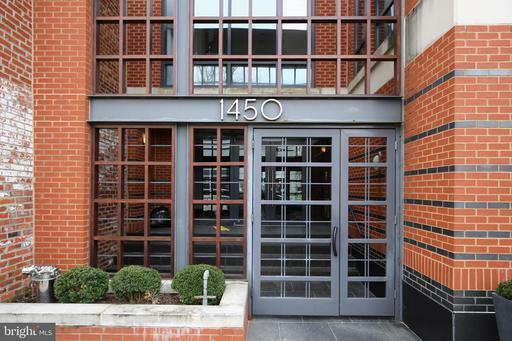 Unit features an open layout with 1 bed + den, 1 bath, hardwood floors and a private balcony. 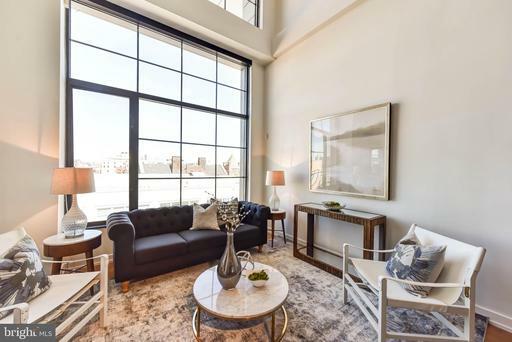 Oversized windows drench the home with lots of natural light! 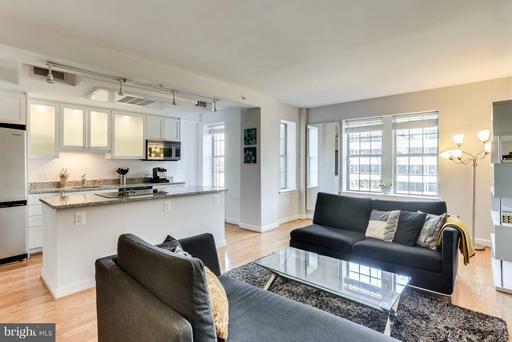 Gourmet kitchen boasts a granite counters + island with breakfast bar seating and custom cabinetry. Master bedroom with large walk-in closet and luxury bath. Den can be used as a 2nd bedroom or home office. Washer/dryer in unit. Assigned garage parking included. 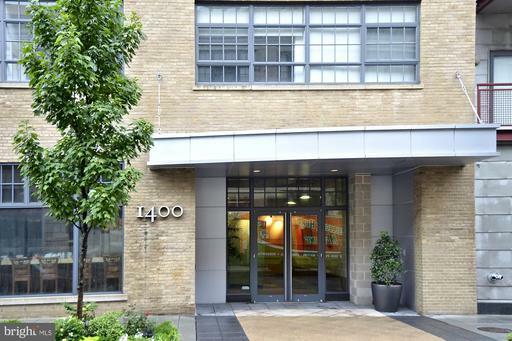 Building amenities include concierge, fitness room, party room and more! 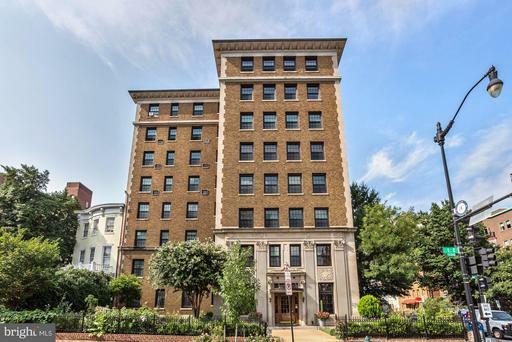 Only steps to Whole Foods and a wide variety of restaurants, shops on 14th St. Close to Dupont Circle, Shaw and Mt Vernon Sq metros. 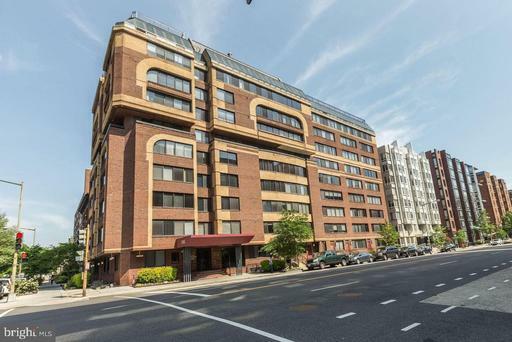 Beautiful 2 bedroom, 2 bathroom condo located steps from everything downtown DC has to offer with PARKING! 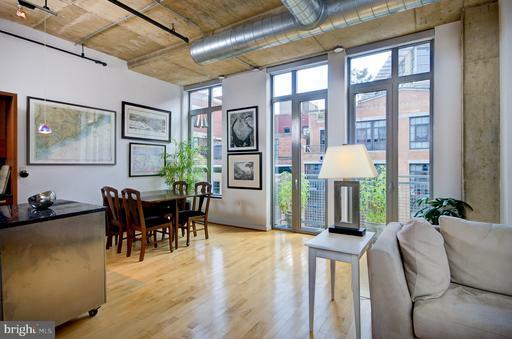 Unit features an open concept living with hardwood floors and a wall of windows, providing plenty of natural light! 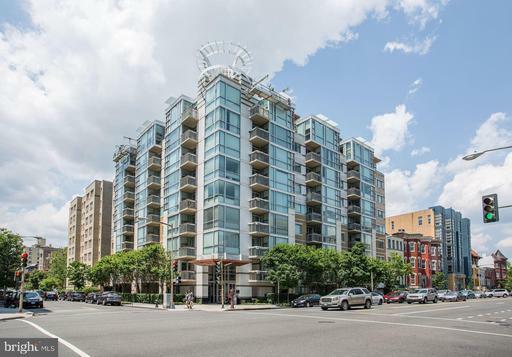 Gourmet kitchen boasts granite counters, breakfast bar and stainless steel appliances. Master suite with luxury bath. Washer/dryer in unit. 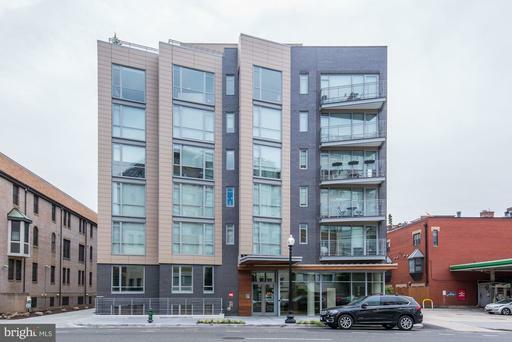 Amenity rich building includes rooftop deck with panoramic city views, fitness center, 24 hour front desk, community room and more! 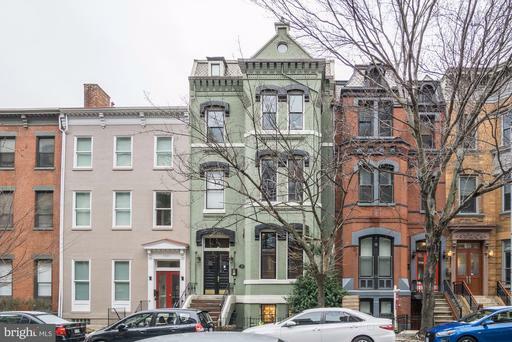 Only steps to countless restaurants, shops, Mt Vernon Sq and McPherson Sq metro lines. 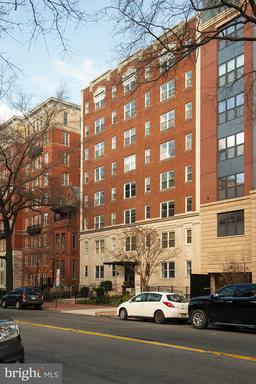 Close to City Center shops, .museums, the National Mall and the Capital One Center. Unbeatable location! 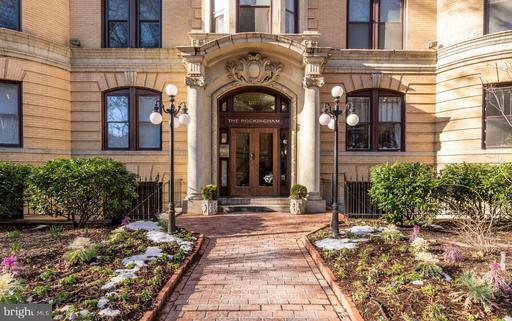 Behind the imposing Victorian columns of the entryway, this TWO BED/ONE BATH condo, just off Logan Circle, has all the modern comforts of 2019. 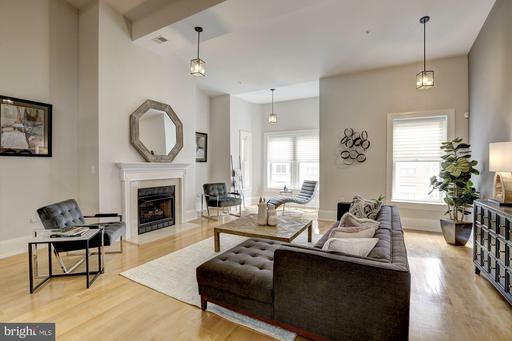 A spacious living area with cozy wood burning fireplace and warm hardwood floors provide the perfect embrace of home after a long day. 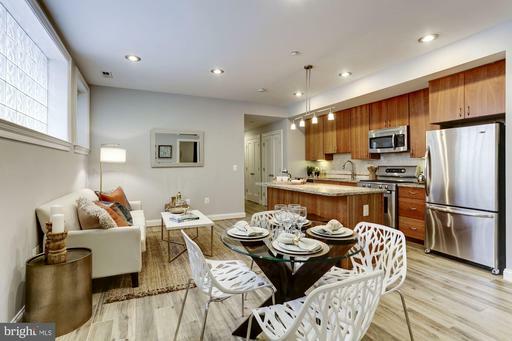 The kitchen boasts stainless steel appliances, ample storage, and cork floors for a gentle cushion while you create gourmet meals or unpack delivery. 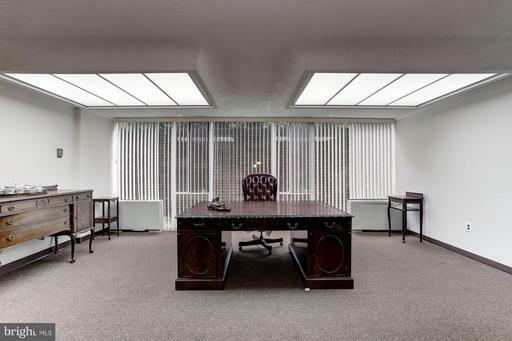 Two large bedrooms allow for guests and a home office, with laundry in unit for your convenience and an extra storage unit in building. 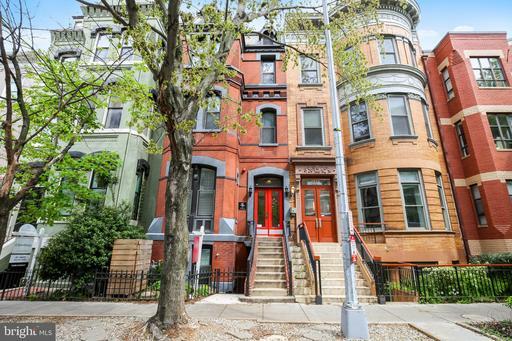 Enjoy everything Logan Circle and 14th Street have to offer! 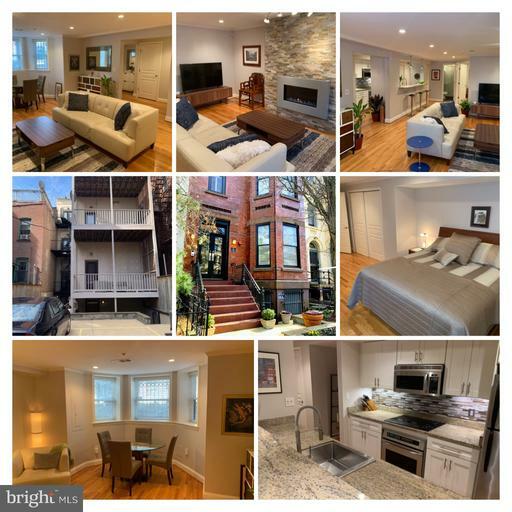 **Offers if any due, Tuesday 04/09/19 at 10AM. 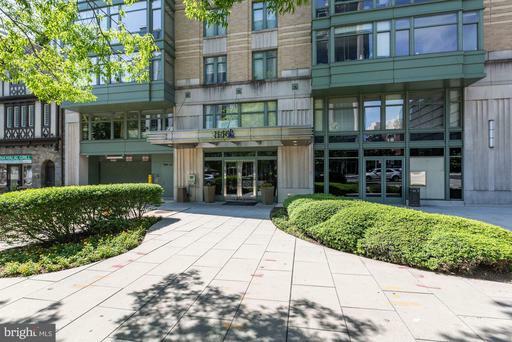 ** Located in the modern and pet-friendly Solo Piazza, this sun-drenched one bedroom, one bathroom condominium is nestled in the heart of Logan Circle. 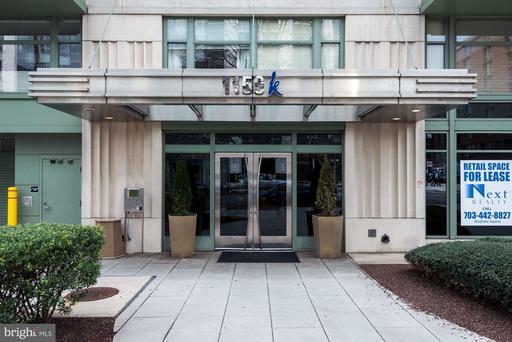 The epitome of urban convenience, this centrally located residence is moments from some of DCs most renowned dining, shopping, and entertainment and is walkable to numerous bus stops, Capital Bikeshares, and the Green, Orange, Yellow, Silver and Blue Lines. 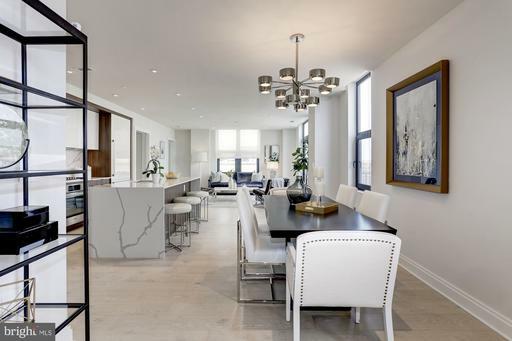 The open gourmet kitchen, perfect for the home chef, is equipped with a Jenn-Air gas range, stainless steel appliances, under-mount sink, and an expansive Italian granite countertop with extra seating for a quick meal or overflow entertaining. 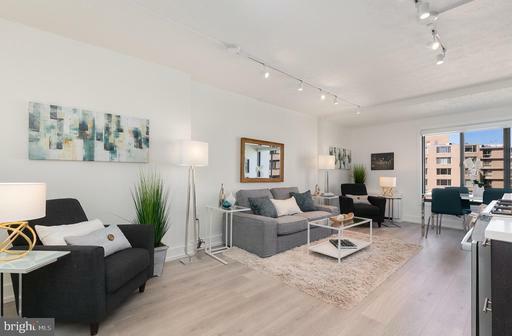 Adjacent, the open dining/living area boasts warm hardwood floors, recessed lighting, a tranquil gas fireplace with travertine surround, and floor-to-ceiling windows that bathe the home in light. 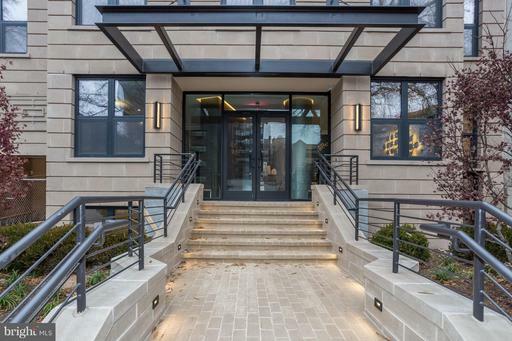 Just beyond the sliding glass doors, the oversized private balcony features serene views of the courtyard and is large enough to support both outdoor lounging and dining. 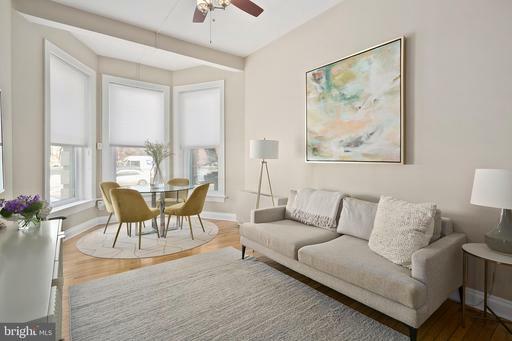 Nearby, the spacious bedroom includes floor-to-ceiling windows with separate balcony access, an oversized walk-in closet and a newly renovated ensuite offering ceramic tile floors and a marble bath. 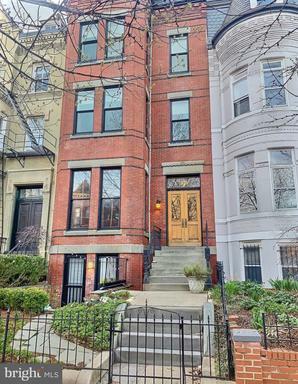 Finally, a laundry room with additional storage and an in-unit washer/dryer complete this one-of-a-kind offering. 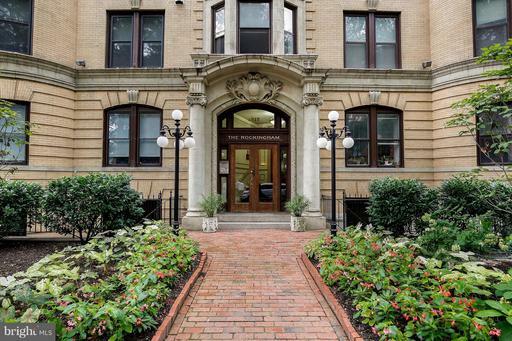 Stunning top floor premier tier unit with breathtaking views over Logan!! 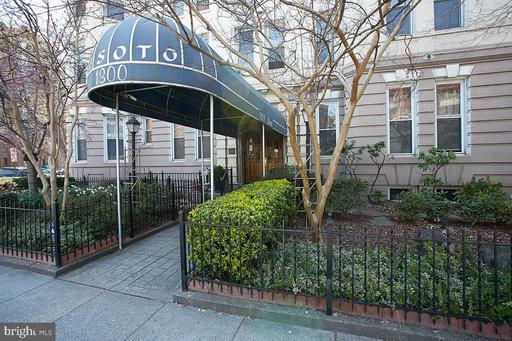 Welcome to unit 502 in the sought after Desoto! 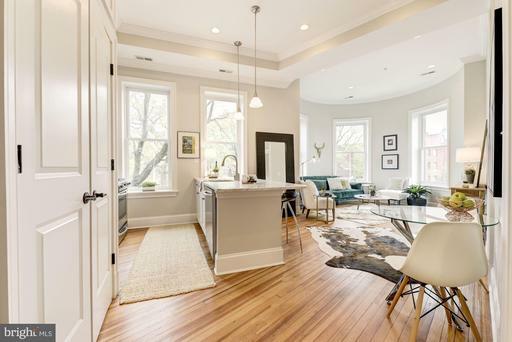 LARGE unit boasts hardwoods throughout, a "turret dining area" as well as a second bayfront living bump out with windows and light for days! 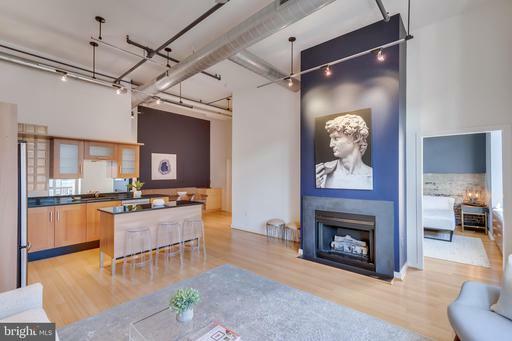 Updated gourmet kitchen features gas range stainless steel appliances. Updated bath with textured mosaic design and master bedroom with closets for days! 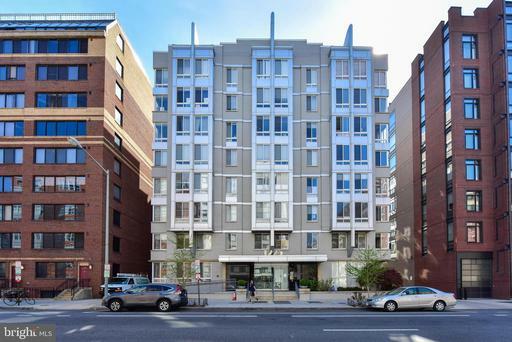 Elevator building, pet-friendly ALL shapes and sizes! 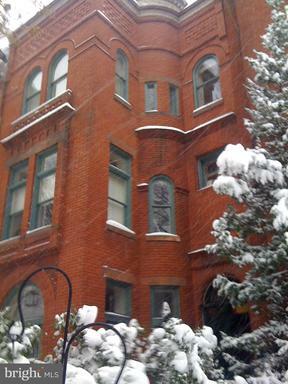 !, + utilities and property taxes included in fees! 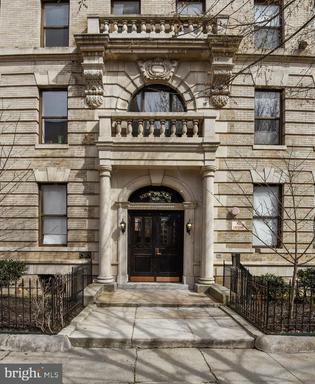 Be the toast of the town in this rare offering at a sensational price! 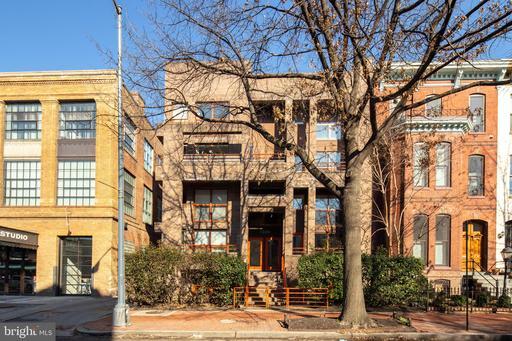 Dont miss this bright sunny 1BD/1BA 2-lvl Logan Circle condo in the Rockingham with storage! 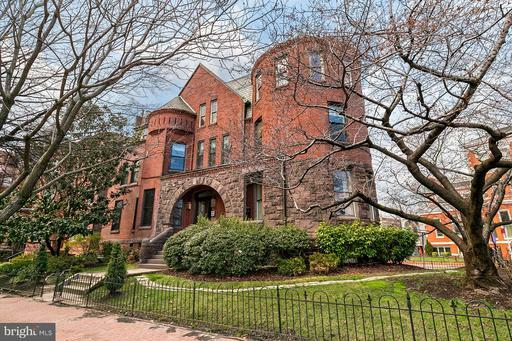 Eye catching details throughout including hardwood, wood burning FP, exposed brick, walk-in closet. 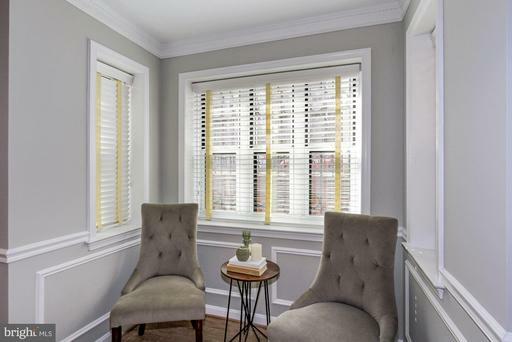 Kitch boasts updated granite, SS, maple cabinetry, breakfast bar. 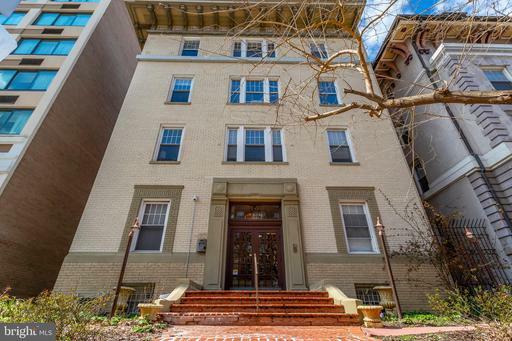 Enjoy living close to all that Logan Circle has to offer incl. 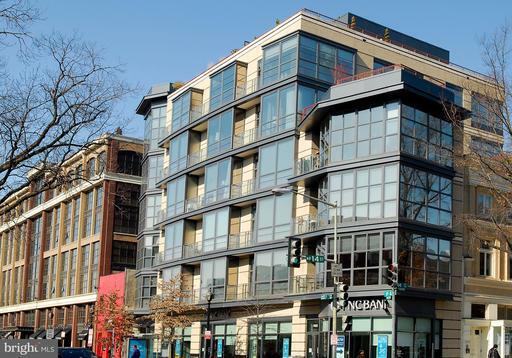 Whole Foods, metro, shops, dining, museums, more!